Ford Motor Company and local distribution partner, Future Automobiles (Pvt) Limited, recently announced a US$ 10,000 grant to World Vision Lanka under the Ford Conservation and Environmental Grants initiative. This is the third project that Ford Motor Company and World Vision Lanka are collaborating on this year. World Vision Lanka is a non-profit organization that dedicates to work with children, families and communities in Sri Lanka to overcome poverty and injustice, currently serving 16 Districts in the country. 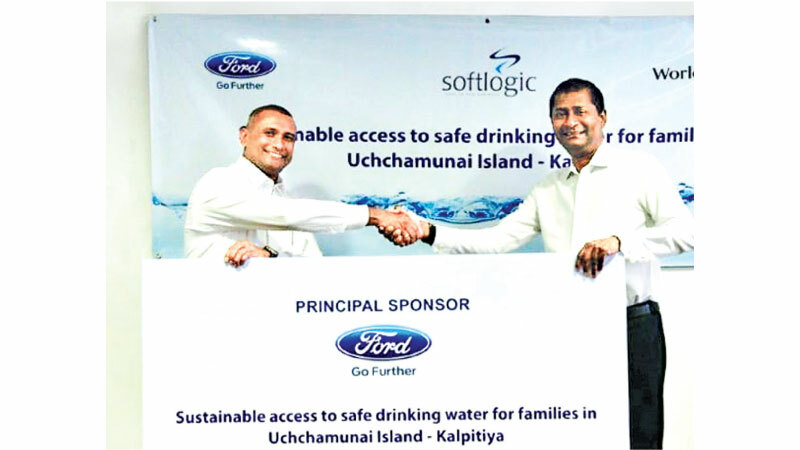 The US$ 10,000 grant from Ford Motor Company Fund – the philanthropic arm of Ford Motor Company – will be used to provide sustainable safe water sources for local residents in Uchchamunai islands. The facilities will help reduce the daily challenges that more than 40 families face in obtaining daily water supply as the available well water is not potable due to its high salinity. “Serving the communities where we live and work has always been important for Ford and we are proud of our ongoing efforts and contributions that help provide real and long-term benefits to the people of Sri Lanka,” said Chamath Tennekoon, Chief Executive Officer, Future Automobiles (Pvt) Limited. “Our mission is to reach the most vulnerable communities and, this partnership with Ford Motor Company has given us the opportunity to do so,” said Kushmin Perera, Corporate Engagement lead for World Vision Lanka. “We are extremely grateful to Ford for their support and we will continue to build on this partnership.” The two organisations are also working together to implement a rainwater harvesting and replenishment system in the Kalingavila village of the Magulpokuna Grama Niladhari Division, which is part of the Welikanda Divisional Secretariat. Additionally, in keeping with Ford Motors’ annual “Global Caring Month” initiative, a staff volunteer program has been scheduled for September 2018 where volunteers from Future Automobiles (Pvt) Ltd will join the Board members of World Vision Lanka to benefit one of the most remotely-located primary schools in Jaffna. Expressing his views on the latest project, Dhanan Senathirajah, National Director of World Vision Lanka said, “Ford’s commitment to creating sustainable impact in vulnerable and remote communities has made them an invaluable partner of World Vision Lanka. Building on our joint work last year to provide 220 families in Vaharai with access to water, and our current project with a community of 25 families in Welikanda, this Kalpitiya project will continue to change lives of people across Sri Lanka – making generational impact.” Over the past few years, Ford and Future Automobiles (Pvt) Limited have contributed to several local water conservation and drought mitigation projects in Sri Lanka including raising communities’ awareness on sustainable farming and water saving method through an agricultural livelihood project in Kilinochchi and implementing a rainwater harvesting and replenishment system in Welikanda to increase access to clean water for over 100 residents.